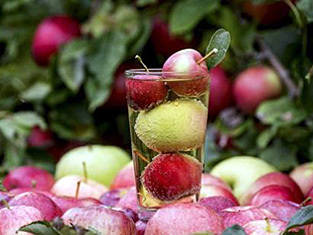 Luz Del Valle is a multi generational apple farm that has been growing apples since 1880. 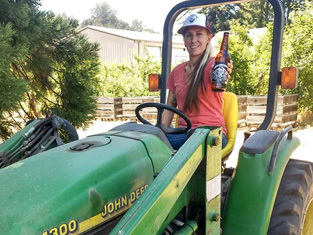 The current incarnation is a U-Pick apple farm, a wholesale apple grower for Martinellis plus home to many of the apples for Santa Cruz Cider Company’s local dry ciders. Their historic barn was built is 1903 & the farm boasts a beautuiful garden, chickens, horses and 22 varieties of apple trees. 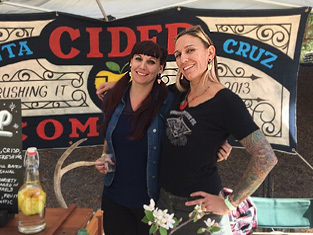 In 2013 Husband & wife Felix & Nicole Todd partnered up with her sister, Natalie Henze and her family to become Santa Cruz Cider Company. 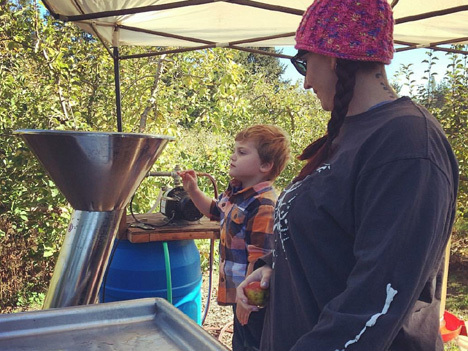 Our Families take great pride in the whole cider making process. We maintain the orchards we pick from as well as pick, process, ferment and package all our cider on our own. We are the true meaning of a local, family owned & hand-crafted cider. Tours of their apple orchard & historic barn. Self-guided tours are all day and guided tours are every hour at the top of the hour. Apple pressing with a wooden basket press, Apple juice & hard cider tastings will be available for sale throughout the day. PLEASE NOTE- The gate to enter the orchard & parking area will be clearly marked with signage. 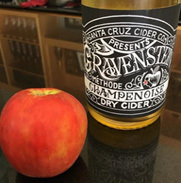 A selection of hard cider products from the Santa Cruz Cider Company will be available for purchase.